Lymphedema is a common late effect from head and neck cancer and/or its treatment. Guidelines recommend that patients with lymphedema should be referred for therapy in a timely manner to maximize control of lymphedema-related symptoms. However, there is paucity of information regarding treatment outcomes in the head and neck cancer population. 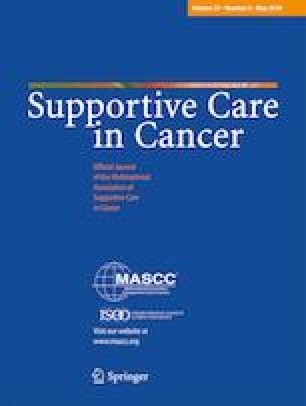 To address this gap, we conducted a qualitative study to gain understanding of head and neck cancer patients’ experience pertaining to lymphedema therapy, barriers to treatment, perceptions concerning physical and psychological benefits, opinions about therapists, and suggestions to enhance outcomes. Twenty head and neck cancer patients who underwent lymphedema therapy completed semi-structured face-to-face interviews. Interviews were audio-recorded, and verbatim transcriptions were completed. Thematic analysis was employed to analyze the interview data. A majority of the participants (n = 15, 75%) completed a full course of lymphedema treatment. Most participants expressed physical (n = 18, 90%) and psychological (n = 14, 70%) benefits about the lymphedema therapy, e.g., decreased swelling, increased swallowing function, and multi-faceted healing. More than one third of the participants described barriers hampering their lymphedema therapy, e.g., insurance coverage, return to work, and availability of lymphedema therapy. Many participants proposed suggestions for improvement of lymphedema therapy, e.g., personalized education, longer treatment time, and caregiver education. The study has underscored the potential benefit of lymphedema therapy in the head and neck cancer population. Substantial barriers to therapy were reported and need to be addressed. Opportunities to improve lymphedema therapy outcomes were suggested. Personalized strategies should be considered for ensuring optimal patient outcomes. The online version of this article ( https://doi.org/10.1007/s00520-018-4428-2) contains supplementary material, which is available to authorized users. This research was supported by the Vanderbilt Office of Clinical and Translational Scientist Development and American Cancer Society. The study was approved by the Institutional Review Board at Vanderbilt University and the Scientific Review Committee at the Vanderbilt-Ingram Cancer Center (VICC).